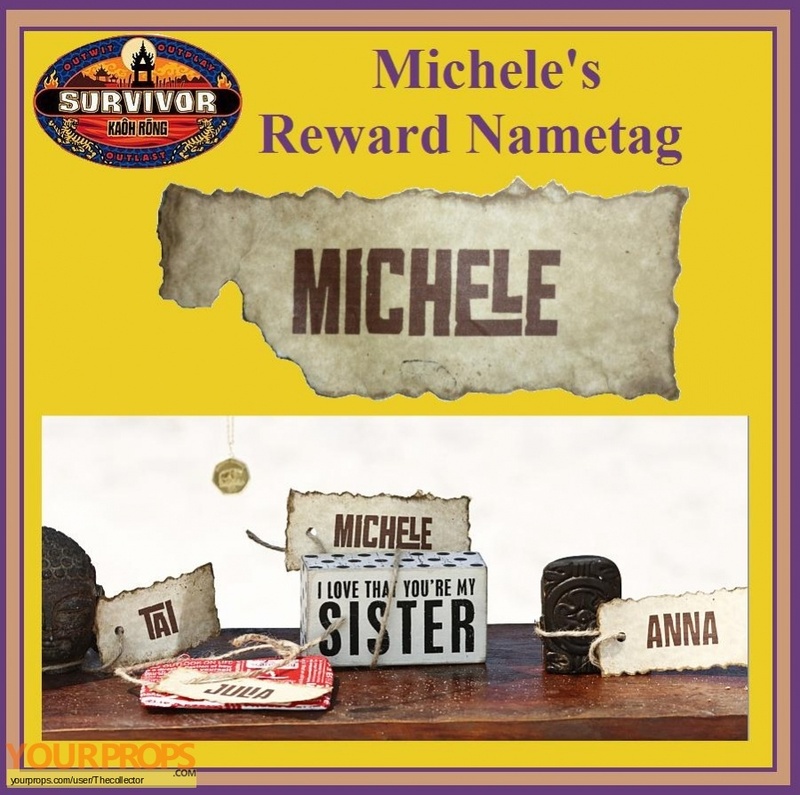 From the 32nd season of Survivor "Kaôh Rōng" which was filmed in Cambodia and the season aired at the start of 2016 comes Michele's Name tag from episode 3, first place had the choice between comfort items or items from home. 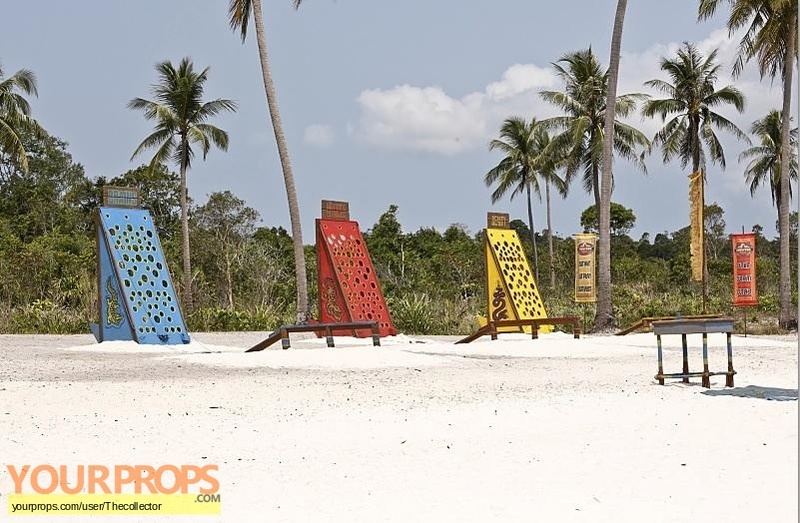 Gondol aka beauty tribe ended up winning and Michele (the winner of the season) received her item from home. The tag has been torn but remains in a good used condition and mateches up perfectly to the episode.